Willem Pijper is generally considered the most important figure in modern Dutch music. His great talent, which was soon recognized also in other countries, coupled with the influence he had on his pupils and the keen critical powers with which he expressed his ideas in newspapers and periodicals, made him, more than others, a stimulating force in the field of music. Pijper was born at Zeist, a small town near Utrecht, on 8 September 1894. 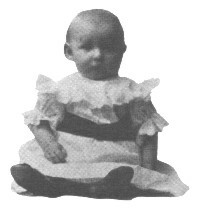 Christened Willem Frederick Johannes Pijper, he was born of working-class parents with staunch Calvinist leanings who took only little interest in music. His father, a paperhanger who sometimes played psalm accompaniments on the harmonium, taught him the names of the notes of the treble clef when he was five. Willem subsequently discovered the use of sharps and flats on his own and began composing simple melodies. His fascination with symmetrical musical structures was evident even at this early age, and using his own inventiveness he constructed a C scale in which the ascending and descending intervals were the same. The organist of a nearby church took interest in the lad and allowed him to play on the church instrument. At ten he began formal piano lessons and made rapid progess. 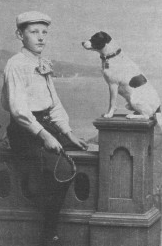 his dog Toppie Weak health (a form of chronic asthmatic bronchitis) prevented young Willem from attending elementary school. For the first 13 years of his life he was educated at home. During this time he made marked intellectual progress, becoming a voracious reader with a particular interest in botany. He spent many happy hours in his father's garden where he began a collection of seeds, carefully labeled and categorized, which he maintained until his home was destroyed during World War II. By 1908 his health had improved sufficiently for him to become a pupil of the gymnasium, where he studied for only three years, wishing to devote himself entirely to music. In 1915 he passed an examination in theoretical subjects at the Utrecht Academy of Music; he was taught composition by Johan Wagenaar. Pijper's examination was a formality, since outside of his brief study with Wagenaar he was entirely self-taught as a composer. Pijper developed as a musician in a remarkably short time. The difference in style between the First Symphony (in which Mahler's influence is clearly evident) and the Second is significant, and in but a few years (between 1918 and 1922) he grew into one of the most advanced composers in Europe. In each successive work he went a step further and, starting from his conception that every work of art arises out of a number of "germ cells" (a concept quite probably developed from his botanical observations as a boy), he worked with the precision of a mathematician, drawing his conclusions and then building upon them. 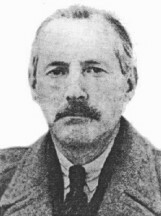 Since about 1919, Pijper has been described as an atonalist. Yet in reality there is no question of Pijper's consciously abandoning tonality; rather his polyphonic way of thinking and his developed sense of counterpoint made his harmonic style evolve in that direction. Pijper's bi- or polytonality always aims at harmony as a whole, and the harmonic complexity exists exclusively for the sake of the physical tension towards which he aimed  it is the means, but not the object, of the musical expression. For in spite of his severe self-discipline and the consistent application of his ideas, Pijper remained a composer of strong emotional character, to which his Third Symphony (1926) bears ample witness. In Pijper's later works the harmonic expression seems at times to approach monotonality. Nevertheless he consistently stuck to what, in his musical evolution, had become his own special style; and unlike many modern composers, he never succombed to the temptation of adopting an enforced system or a prevailing fashion. Pijper did not experiment; he believed in his own system and his own logic. As a teacher Pijper had a tremendous influence on modern Dutch music. The majority of prominent Dutch composers of the 1950's, '60's, and '70's were, for varying degrees of time, taught by him. He was senior master of instrumentation in the Amsterdam Conservatoire, and from 1930 until his death he was Head of the Rotterdam Conservatoire. 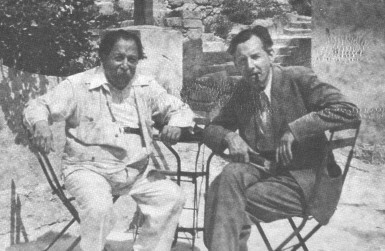 Pijper occasionally gave a piano recital (he was quite active as a performer  both as soloist and accompanist  during the mid to late 1920's), but his activity as a critic was of much greater importance. In 1926, with Paul F. Sanders, he established the periodical De Muziek, to which he contributed many masterly essays and by means of which he hoped to give guidance to contemporary Dutch musical life. Collections of his essays were published by Querido (Amsterdam) under the titles of De Quintencirckel and De Stemvork. The war years were difficult for Pijper, as they were for many of his countrymen. During a massive German bombardment of Rotterdam on 14 May 1940, Pijper's home was totally destroyed. Fortunately, he had stored his manuscripts in a safe-deposit vault several months previously, thereby preserving them for posterity. Pijper spent much of his time during these trying years working on a new opera, Merlijn, based on the Arthurian legends. Though the work was never completed, he nonetheless expended a great deal of energy on the project over a period of roughly six years. Pijper believed the work would be the last great effort of his life and that he would not live to see it completed. In this Pijper was perhaps somewhat prescient. In late 1946 he was diagnosed with cancer. The war years had likely precluded an earlier diagnosis, and by this time his condition was beyond treatment. During the closing weeks of his life he began putting his musical affairs in order and in his last days rewrote in meticulous detail the orchestration to his Concerto for Violoncello and Orchestra, completing the task on 3 February 1947. On 18 March 1947 Willem Pijper died. During his 53 short years he had succeeded in once again giving the music of his country a place of prominence in the European musical life of the twentieth century. Not since the days of Jan Pieterszoon Sweelinck had The Netherlands known a composer of such stature and creativity. Adapted with kind permission of Documents in the Netherlands for Music (Donemus), Amsterdam, The Netherlands. Photos: Stichting Willem Pijper and archive MuziekGroep Nederland. This site designed and maintained by John Craton.